I’ve been thinking about Every Day Carry lately as it relates to this idea of what I’m calling Techno Survivalism. So I started going through what I carry around every day and what I need to do every day so I can adjust my “EDC”. I know many IT guys carry a lot of crap around in a backpack every day but I’ve turned more towards the minimalist approach to everything. I don’t carry a backpack, I just have my four pockets. The last couple of jobs I’ve had required a lot of travel to various parts of the Panhandle and I know a lot of places have policies about having some kind of hands free system in their car. Lots of cubicle work requires that you have earphones because you can’t play a radio at your cube either. Most cell phones these days include a pair of ear buds so you may ask why I’m even writing this article. Well here are a few reasons why you should ditch the stock ear buds you get with your phone and get the two products I’m about to tell you about now. They have plastic cords that tangle up really easily. The sound quality is abysmal. The cords get caught on things. The cords are never long enough. Did I mention they have cords? No volume control (unless you have an iPhone). Basically all they do is start/stop what you’re listening to and answer calls. Why even carry a headset as part of your EDC? In this day and age, audio is how you keep yourself informed, educated and entertained. For most people, a smartphone is as essential in day to day life as a stone knife was to a cave man in the paleolithic era. The headset is part of the connection to the phone. You listen to audio on the phone with it, talk on the actual phone feature with it, and can input data and receive information through the voice command system with it. Having a good one is crucial. I want to break you away from carrying a dinky corded headset, and get you to carry a stereo Bluetooth headset as your main audio interface. It will free you up, and add a new level of interaction to your smartphone. The first product I want to talk about is the LG Tone+ HBS 730 Stereo Bluetooth Headset . I’ve had one of these since March of 2013 and as of this writing is has not failed me. The biggest reason I got this was because I like to listen to podcasts and I got tired of breaking regular ear buds. The cable would get caught on something and break, or they’d just wear out. I didn’t want a regular Bluetooth headset because people can’t tell when you’re listening to one, and they generally make you look like a jerk. This headset can be hidden under a shirt, lets you control your music, answer calls, control the voice commands on your phone, has volume control, and track skipping functionality. With newer phones all the functions work. On my Galaxy S2 the track skipping didn’t work, but everything else did just fine. On an iPhone, or my HTC One, everything works flawlessly. The battery life on this thing, even after almost two years as of this writing is well over eight hours of listening time, when it was new it was well over the ten they promise. The audio quality is great, I can tell the difference when I have to use a regular set of ear buds. The biggest advantage is I don’t have to have my phone on me and I can still use the headset for most things. I can make and receive calls, and listen to audio and leave the phone on the charger in another room if I need to. This makes long road trips a lot more pleasant. There aren’t really that many drawbacks to this headset and I can’t say enough good about them, but the best reasons to have them are pretty self-evident. One is they work exactly like a regular set of corded ear buds without the cord, and a lot more features. Another is that since there isn’t a cord to get caught on anything, you won’t have the problem of the cord dragging the phone out of your pocket and then the phone breaking because it drops to the ground. Since the ear buds on this pull out more like a head set, people can see that you have them in, as opposed to a normal Bluetooth headset, which most people just think you’re being rude when you use one. A couple of drawbacks are that the buttons can be pressed accidentally. You can’t charge it while using it, and you just get too dependent on the darn thing after a while. It will also turn around on your neck sometimes, but I’ve found this doesn’t really happen that much unless the headphone cables get twisted up around the device. The best part is that these hardly cost more than a really good set of regular earphones. They run about $65 on Amazon. I got mine for less than that watching the sales. I highly suggest getting the 730, every knock off company tries to imitate these and sell theirs for less and those knock-offs are utter garbage. That’s an indicator of a quality product, when people copy it. – I think this is the HBS-750. I’ve seen a couple of reviews from golfers who like this one. The main difference is the buttons are on the side and not the top. LG Electronics Tone Ultra (HBS-800) Bluetooth Stereo Headset – This one has more Google voice commands integrated than the other models. The buttons look like they might be more flush with the headset. – This one is a lot more expensive. 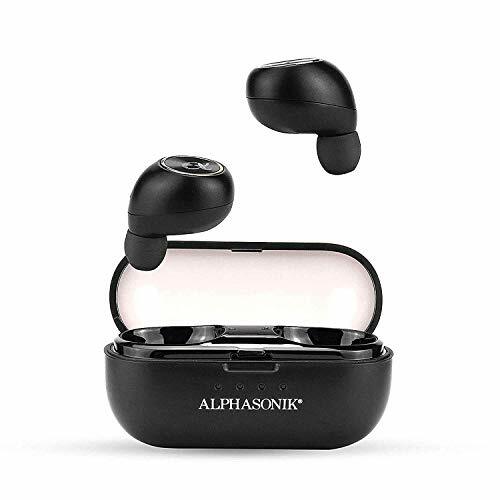 The ear buds are retractable which solves one tiny issue with the other headsets, but honestly the reviews on this one don’t look good for the price compared to the 730, 750 and 800 which are the ones most people seem to prefer the most. These all charge up with USB so that portable battery pack you should be carrying will charge up all of them! For your EDC I am a strong proponent of the Bluetooth headset for your cellphone. It just makes life easier. However, you do still need at least two good pair of corded ear buds for spares, though not necessarily for carrying on you. You want two with the control button, and microphone, if not the volume control if you have an iPhone (this feature won’t work on Androids as of this writing). There are a lot of good sturdy corded sets out there, usually with flat cables and stuff like that. I don’t particularly like those. Mostly because they don’t work well with ScotteVest coats and hoodies. The ones I recommend, just because I’ve had really good luck with this kind are the sort with the braided cloth shell over the cable. They aren’t QUITE as tangle resistant as their flat cable counterpart, but they’re just as sturdy, if not more so. They’re also cheaper in most instances and work with the cable management features in a lot of those fancy coats. What got me hooked on these was a freebie I got with a Newegg order. They weren’t the best ear buds, but I still have them and they take a lot of abuse. Unfortunately, they don’t have the microphone or the button for smart phones, so I just tossed them in my bug out bag for the radio. Having a couple of these around where you can get to them gets you a couple of things. Personally I keep one in my ScotteVest hoodie in the winter all the time, I look kind of stupid with two headsets but when I’m on an airplane I can’t really use the Bluetooth. A spare if your Bluetooth breaks, forget to charge the battery, or need to conserve power. Many smart phones have a radio built-in now and need a headset to act as an antenna. in black and silver. Their equipment is pretty good, pretty generic and those will run you about $20. That set is Prime eligible so you can get them in about two days. – These are about $9. I found identical ones for about $18. They supposedly have a microphone, don’t see it pictured. These should be half decent. A couple of these work in a pinch until better ones could be bought. Obviously these are just spares, if you want quality ones there are plenty of good options to choose from. I’d get a couple of the Altec Lansing ones and throw them in the bug out bag. I’ve got a set very much like them on my hoodie permanently. I’ve got a couple generic stock ear buds thrown different places like my car bag, and my desk drawer just in case something breaks or someone needs a pair (I keep all the extra ear pieces, because yeah that’s gross sharing).